After six months in wild Germania, imperial gumshoe Marcus Didius Falco is back in Rome sweet Rome - but his apartment has been ransacked. 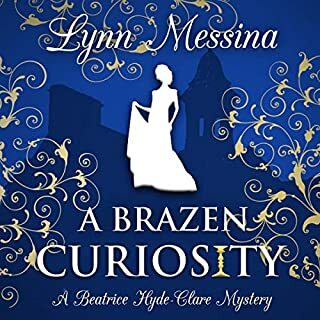 And although he desperately needs 400,000 sesterces in order to marry his aristocratic love, Helena, his only client is his mother, who insists that he find out whether the scandalous claims against his dead brother, Festus, are true. Then the chief tarnisher of Festus' good name is murdered, and Marcus becomes the prime suspect. Someone is definitely fiddling with the scales of justice. The more Marcus hunts for the thread that will lead him out of this doom-laden labyrinth of misery and mystery, the less his life is worth - except, as seems likely, as a meal for the emperor's hungry lions. Falcon and family at their best! This is a fun read that makes you want to purchase the next one to keep the action coming. Maximus Thumbs Up for Falco! 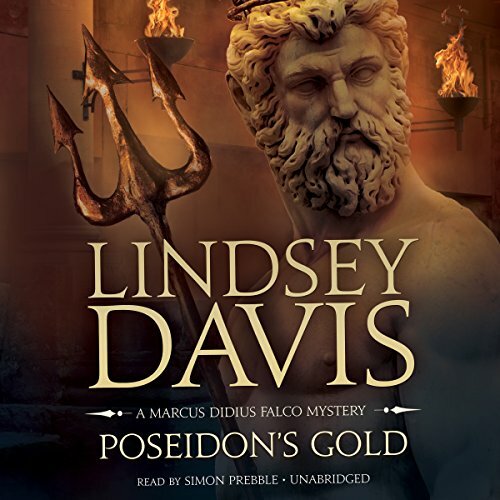 This is the fifth book in The Marcus Didius Falco Mysteries and I am so glad that I found this series. I was never that much of a fan of the Roman era and pretty dumb about the history. I got the first book on sale and put it at the back of my listening queue. I finally got around to listening to it and duh, it was great. So I am working my way through all of the books and enjoying each one. 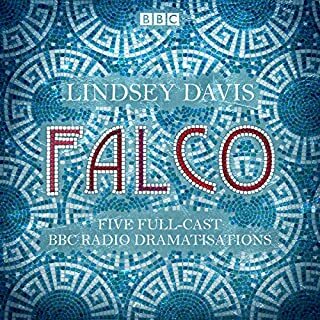 Falco is an “informer” aka private detective in Rome around 70 CE, which should give you a clue to expect a more tongue-in-cheek approach to the stories. 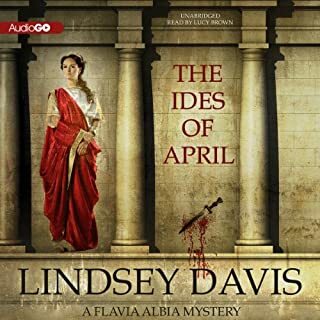 Lindsey Davis does a really fantastic job of blending historically accurate Roman life while using the modern terms and concepts that we are familiar with. The result is often lol funny. 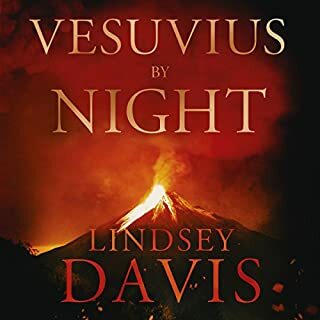 The events of the story are not always light-hearted since we are in Rome where there are slaves, entertainments with man-eating lions and such, so there are dark elements. 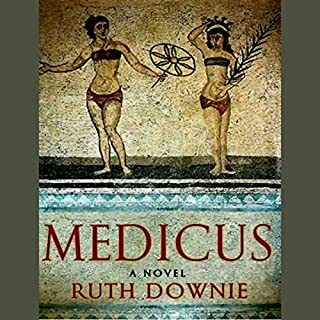 The main character, Falco, is thoroughly enjoyable - a winning combination of smart, sarcastic, funny, and a very likable guy. But he is also an ex-Roman soldier so a tough guy too which means he can handle himself when the bad guys get dangerous. This can be read as a stand alone so if you what to dip your toe into the Falco series it is not necessary to read the previous books first. So far, I have encountered two narrators with the series, Christian Rodska and Simon Prebble. Usually when narrators are changed, I become apoplectic, This is the first time that I found the change to be no big deal since Rodska and Prebble have similar tones and styles of delivery, Simon Prebble does a masterful job of narration with this book. He knows how to bring characters to life and his dry style makes the funny parts really funny. So Hail Falco – We who are about to listen salute you!